Alimony in Georgia is where one party makes spousal support payments to the other following a divorce. Under Georgia law, an award of alimony is not automatic, but either spouse may request recurring financial support from the other. 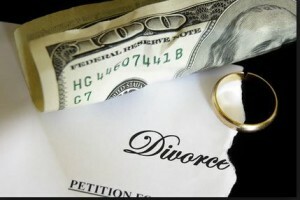 In some cases, the parties are amicable and agree between themselves about alimony payments. When they cannot agree, the court will decide if the requesting party is eligible to receive alimony and, if so, the amount and duration of the award. If you are seeking alimony from your ex-spouse, or you are being asked to pay too much alimony, call Atlanta divorce lawyer Nancy Ghertner at (770) 980-9096 and let her meet with you and explain your options and obligations. Nancy has been a divorce lawyer in Atlanta for over 30 years. A Georgia court will not order alimony be paid to a person who either abandoned the family or committed adultery. In other cases, the court may order either rehabilitative or permanent alimony after considering all relevant factors. What Happens When Both Parties Consent to Alimony? When two spouses agree that one will pay alimony to the other, and they also agree on all relevant terms, such as the amount that will be paid and the duration of the payments, they put their agreement in writing and file it with the court. If the court accepts their agreement, it becomes part of the court orders in the final divorce decree. The parties will be bound by their agreement, and it will be enforceable the same as any other court order. Rehabilitative alimony – paid for a set period of time to give the requesting spouse time to complete training or education in order to be able to support themselves. The length of time one party may need in order to become gainfully employed. Whether one party contributed time and effort toward the professional career of the other. Whether the party requesting alimony gave up a career in order to take care of the home and children. The standard of living each enjoyed during the marriage. The financial resources of each party including property that was divided during the divorce settlement. Future earning capacity of each party. Ability of one party to pay support to the other. Do I Still Have to Pay Alimony if My Ex Remarries? Call Atlanta family lawyer Nancy N. Ghertner at her Sandy Springs office and ask her about your alimony payment options. Nancy has negotiated alimony payment plans for over 30 years, and she is dedicated to getting you the full alimony you deserve. This entry was posted in Georgia Divorce. Bookmark the permalink.